Varsity flag football won 27-12 on Monday, Jan. 28 in a away game against Foothill. 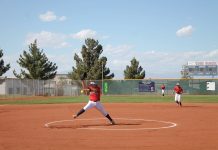 Flag won again 12-18 on Wednesday, Jan. 30 against Green Valley on Senior Night. In the home match against Green Valley, sophomore Kaylee Zicha rushed for 94 yards, averaging six yards per carry. Sophomore Kaylin Hall, quarterback, led the team to victory with 60 passing yards and two touchdowns. 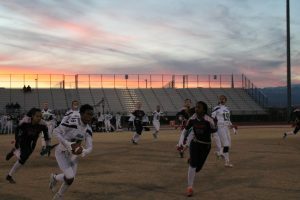 The Cougars ended their regular season winning 20-14 against Liberty High School. Their league record is 14-4 placing them as the first seed in the southeast league. The next flag football game is a playoff game is at 6 p.m. on Wednesday, Feb. 13 at home. Varsity men’s basketball defeated Green Valley 92-62 in a home game on Tuesday, Jan. 29. The Cougars got the lead in the first quarter, and their strong defense held the Gators from coming back. Freshman Richard Isaacs (#2) scored 27 points and junior Tyrell Hunt (#10) had 12 rebounds. In the second game of the week, the Cougars lost 75-84 in an away match against Foothill on Thursday, Jan. 31. In the first half, the Falcons had the lead, and though the Cougs scored more in the second half, Foothill maintained their lead. 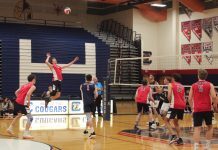 The Cougars are 6-1 in league and play today at Basic High School at 6:30 p.m. The women’s varsity basketball team clutched a 54-53 win over the Green Valley Gators at home on Tuesday Jan. 29. The Cougs came out strong scoring 18 and limiting the Gators to just eight points in the first quarter. At the half, Coronado remained in the lead 33-25. Green Valley made a comeback outscoring Coronado 11-10 in the third quarter and 17-11 points in the fourth quarter. Junior Gabbie Etopio (#15) and senior Haley Morton (#45) made some crucial free points in the fourth quarter to give the Cougars the victory. Junior Sade Williams (#23) contributed with 18 points for the Cougs. Women’s varsity basketball lost 46-62 to the Foothill Falcons on Thursday, Jan. 31 in an away game. The Falcon’s aggressive offense overwhelmed the Cougs and prevented them from gaining a lead. Women’s varsity currently sits with a 4-3 league record. Varsity plays again today at 5:00 p.m. at Basic. Previous articleIf you could turn any movie into a musical, what would it be?